Transportation in Mali seems to run on two separate systems; one where there are bus stations for each bus line which run on set schedules. Africa Tours Transport is said to be a good one, and offer many long distance trips between countries. I also took TCV between Burkina and Mali, and it was fantastic, with comfortable seats and AC. The other system is the usual, show up at the station and go when the bus fills kind of thing, but with much less comfortable buses. Most transportation seems to be more expensive than other countries. April is the hottest month and it was almost unbearable. Buy a plastic fan; they’re only 100CFA, but they are like gold. Once in the city, I asked for help finding a cheap hotel, and a nice guy took me on his moto to find one. He brought me first to a nice looking hotel, but it was too much for me! There is a Senegalese Campement on the west end of the road that runs parallel south of the river. I forgot to take the name of it, but it was fairly clean and reasonably priced — 5000CFA dbl with shared shower + toilets. Reasonably clean, but very hot. a couple guys were driving the next day, so I had the luck of going with them! They brought me directly to the hotel. The most well-known spot is the Sleeping Camel in Badalabougou. 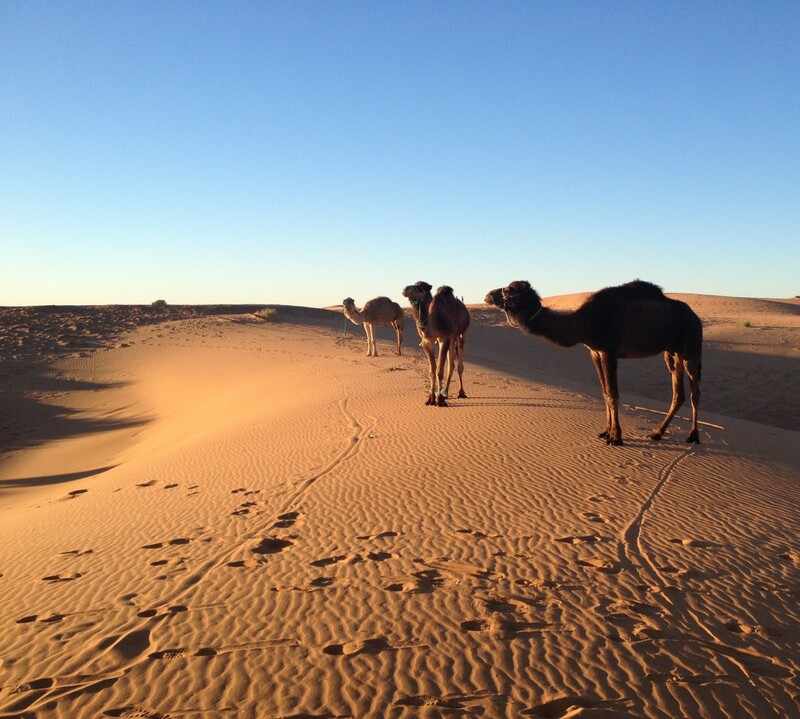 If you need directions, you may need to say something like “Camel Sleeps”, as the name is in English, and these guys speak French. Dorm beds are 4000CFA, or you can camp for 3000 (they can provide tents too, though they may be nothing more than a mosquito net with a zipper, as seen here,) The atmosphere here is pretty chill. The grounds are well kept, the staff are lovely, the rooms clean, the wifi good, and the beers are cold. Food is a bit pricey, but looks pretty good. Auberge IMI has been known to be a solid competitor for budget private accommodation, but will be closing within the month. The place is still open now, but is not being kept well in the meantime. Auberge Djamilla is a lovely spot as well, though there is no dorm option. Rooms are a bit steep, at 10000 minimum, but could be worth the while for a more luxurious feel while still being down to earth. Check it out for a drink anyways! Leaving the Sleeping Camel, if you cross the main road, there are a couple of breakfast joints near the corner (where the ladies sell all the fruit). Coffee and a 2-egg omelete sandwich, 400CFA. Across the road from that is a brown structure that is a “restaurant”. I often get spaghetti with beans for 200CFA, but she has a bunch of stuff to choose from, including rice and To. If you leave the hotel and keep straight on the same dirt road towards the little boutique on the left, you’ll find a lady who makes brochettes and sandwiches. I hear that everyone gets sick at the restaurant Amadine on the main road. I’ve also heard it’s pricey. Broadway Cafe is supposedly worth the money for a taste of home (or anything else you could possibly be craving). Zera (aka Sotrama Bar) in the Hippodrome has great food for 3000-4000CFA, beer for 700/1400CFA, and live music on Friday nights. Highly recommended! Sotrama buses (the green ones) are a hop-on hop-off kind of system, much like the trotros in Ghana. Across the bridge to town is usually 150CFA. I heard that a taxi in the evening to the airport should not be more than 5000, but you may need to bargain hard for it. Auberge Solidare (Djembe Kan Ka Di) was amazing. So chill, with wonderful people, and super comfortable, while being totally off-the-grid. A necessary escape from the noise and pollution of Bamako, even if you don’t go to see the waterfalls! — 5000CFA/night for a dbl hut. Very simple: bucket showers and no power, but they will make sure that you can charge your stuff off-site if you need to. Call Karim at +223 73 83 07 14 to make your arrangements! I rented motos to get to the waterfalls and the arch. 10000CFA/moto; two were needed as there were two of us plus the guide. The guide knew the way, but didn’t have much to say on the arch, and didn’t know a thing about climbing it – if that interests you, ask for the guys who do that stuff! You can rent gear and everything and do day trips, but I don’t know the prices. Small town, not sure what there is to do. I swam in the river here, to the amusement of 40+ Malian children. Also took a canoe across the river to walk around, but there’s not much to see there either! If you are in the real tourist mode (which I wasn’t), there are plenty of guides around who would be more than happy for a new client, as tourists are essentially non existent these days. The mosque is pretty cute. Everything is close enough to walk around. Hotel Rose, in the centre near the gare routiere. Clean and comfortable. Negotiated to 7500CFA, dbl with net, self contained. I didn’t find it, but Y A Pas De Probleme sounds really nice. I’d recommend to look for it instead! Hotel Teriya has a nice courtyard, but was less clean than Hotel Rose in Mopti — again, negotiated to 7500 for a dbl, with net but shared bathrooms. Visa was obtained in Bamako, or else it’s more than 90000CFA at the border! I found two bus lines which offer this trip. Both look like great quality and are the same price, but I recommend getting there early or purchasing your ticket in advance (I learned this the hard way). There’s the week market on the river quay (on Monday), the pottery market, the bogolan workshops (mud-cloth making), the possibility to taste millet beer, the administrative neighborhood with its colonial houses, the old fisherman’s neighborhood with traditional red mud houses, Segoukoro (as mentioned by Petr), which was once the capital of the Bambara Kingdom, there are the pottery villages on the other side of the river, the Bozo-village on the other side of the river (which you probably visited), sunset trips on the river and visiting the nomadic Bozo people on the isles. It needs to be said – that as with many things in Africa – you may not notice or find them on your own. However, if you’re willing to take a guide or join a guided tour, language barriers disappear, you’ll get the explanations and will get to places you may not be able to find or access just by yourself. Also (if you speak spanish) check out my friends Adria and Leevi on their RTW! They’re hitting a lot of places on your list.. maybe you’ll cross paths! http://www.lavoltaalaterra.cat/ and https://www.facebook.com/lavoltaalaterra. I can agree with Monique that Segou has a lot to offer. Stayed there about 3 days in 2010. Main attraction was a small village Segoukoro, took a expwnsive guided tour there. Also did 1 day trip to Niono, where is beautiful mosque and many canals around. I remember a great resturant in the city centre with best food in Mali, not so expensive. Segou was my first stop after few hours in Bamako. Nice to hear that at least part of Mali is safe, though you didn’t make it to such amazing places like Djenee, Hombori or Duentza. 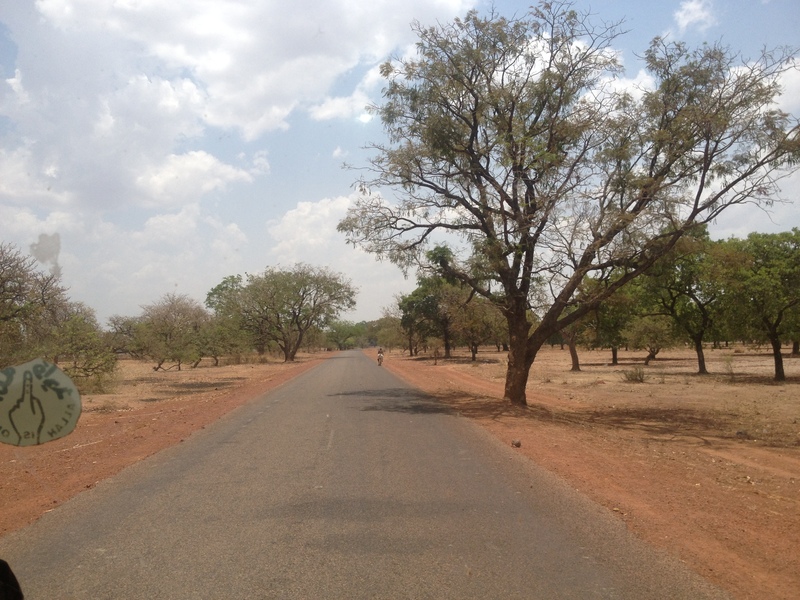 Hi Petr, thanks so much for your suggestions on what to do in Segou! Is segoukoro the village across the river? Just noticed that you’re talking about a hotel named Djiboli in Ségou. There’s no hotel of such name in town. I’m guessing you either talk about Djoliba (which as far as I know does not have rooms for 12,000) or Soleil de Minuit.